In 1968, Johnnie Ashe, Arthur’s younger brother, volunteered to serve an additional tour in Vietnam to ensure that Arthur, who was in the army and stationed at West Point at the time, would not go to Vietnam. Had it not been for Johnnie’s sacrifice, the history of tennis might have been written differently. While Johnnie was serving in the military overseas, Arthur continued competing in tennis, winning the first U.S. Open in 1968. 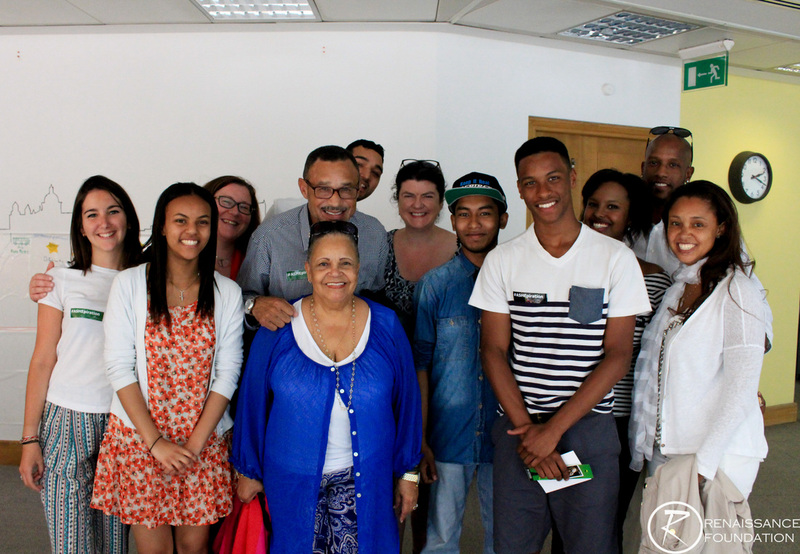 On July 11th, Johnnie Ashe and his family visited Renaissance Foundation in London to commemorate the 40th anniversary of Arthur’s victory at Wimbledon. Established in 2003, Renaissance Foundation provides support for young people with significant life challenges; including caregivers, hospital patients, and at-risk students. Renaissance Foundation offers a 3-year personalized support program with services that range from mentoring and educational attainment to experiencing world-class opportunities. In the hope of motivating youth, Renaissance Foundation hosts inspirational speakers, like Johnnie, every month at varying locations. After a guided visit through St. Paul’s Cathedral—where Arthur visited during his stay in London—Johnnie shared stories with members of Renaissance Foundation. The attendees included seven Young Leaders and several Renaissance Foundation staffers. Young Leaders are students between 14 and 18 years old who have been with Renaissance Foundation for over three years and conduct many activities, attending events like Johnnie’s visit and mentoring newcomers to the foundation. Out of many inspirational anecdotes, members of Renaissance Foundation found Johnnie’s story about his military service in Vietnam most touching. Renaissance Foundation tries to encourage young people to follow their dreams even if they may seem impossible. Although Johnnie was not necessarily following his own dreams in this case, members of Renaissance Foundation were utterly impressed by Johnnie’s sacrifice, which greatly contributed to his brother achieving his dreams. Click here to watch the 10-minute Emmy award winning documentary “Arthur & Johnnie,” that tells the story of Johnnie’s military service in greater detail.